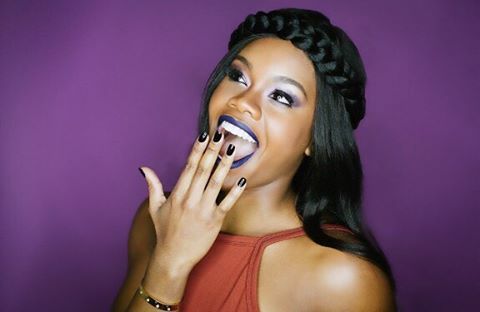 Gabby Douglas’s Lip Line is Almost Here and It’s Everything! Olympic gold medalist Gabby Douglas and Beauty Bakerie are comin’ through with so. much. shade. Not the kind you throw at the haters, of course, but the kind you swipe on your lips. This Black-owned cosmetics company, which creates sweet treat-themed makeup goodies that are vegan, cruelty-free, and smudge-proof, has been around for awhile. For this, their third product collab, Gabby will be adding to BB’s already-established Lip Whip line with five new colors — Hazlenut Swirl, Plum Sorbet, Triple Berry Mousse, Sangria Splash, and Cherry Flambé, reports Bustle. The new Lip Whip set will drop on March 14 and will be sold for $80 — $10 less than if you were to buy each one separately. All we can say is yaaasss to another new product that will have our faces beat for the gods!